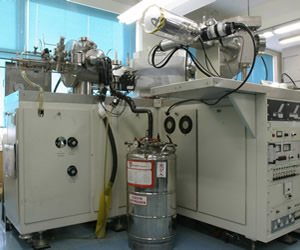 [Glow discharge mass analyzer] Daido Bunseki Research Inc. Principle Generates glow discharge in argon gas, and ionizes argon gas. 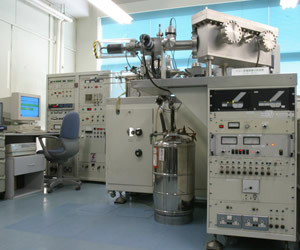 Ar+ is collided against the analysis sample, ions to be measured are generated from the sample, and the number of ions are measured with a mass spectrograph.